October is National Disability Employment Awareness Month (NDEAM). 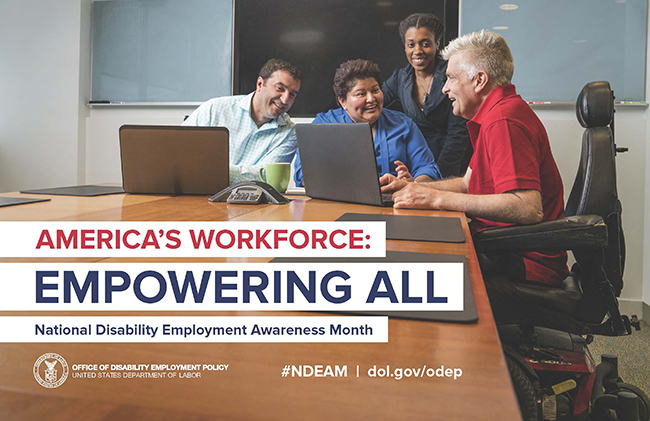 NDEAM celebrates the contributions of workers with disabilities and educates about the value of a workforce inclusive of their skills and talents. This year’s theme—”America’s Workforce: Empowering All” —aligns with Goodwill’s defining mission of providing all workers, including those with disabilities, with job placement and training services. While the unemployment rate for people with disabilities has fallen steadily since 2009, it remains more than double the rate for people without a disability—8.0 percent versus 3.8 percent in August 2018. It is evident that more work needs to be done to educate employers and support people with disabilities. Goodwill has a 116-year history of commitment to providing support for job seekers, regardless of ability or circumstance. Last year, Goodwill’s network of 161 organizations helped place more than 288,000 people in jobs, and delivered in-person services to more than two million people in the U.S. and Canada. For more information on NDEAM, visit: www.dol.gov/ndeam. Goodwill is proud to support people with disabilities year round, but during the month of October, join us in celebrating to contributions of American workers with disabilities – past, present, and future. In Celebration of National Disability Employment Awareness Month. Marion Gooodwill & Marion County Board of Developmental Disabilities are sharing stories of our partnership & collaboration on helping individuals with barriers to employment. We are extremely proud of our work with Jordan and his family. Jordan was born with spina bifida and received early intervention services from the Marion County Board of Developmental Disabilities up until his third birthday. Since that time Jordan has been supported by his family, Marion Goodwill and Marion City Schools. Jordan and his family are active participants in the annual Marion Goodwill Wheel-a-Thon event and have won the race for the past ten plus years while raising thousands of dollars. Jordan worked in the Marion Goodwill Summer Youth Program, where he learned skills needed for the world of work. 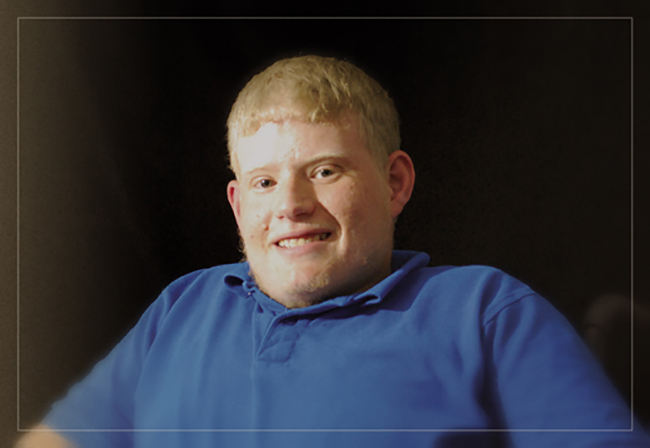 He is currently working with Goodwill’s Workforce Development Office/Vocational Rehabilitation Services to find gainful employment in the community. Jordan is currently a senior in high school. He loves boating, camping, video games, and hanging out with his best friend. He has also recently taken up biking with a three-wheeled handcycle that he received through Goodwill. We have literally watched Jordan grow up over the past fourteen years and look forward to helping him navigate his future. 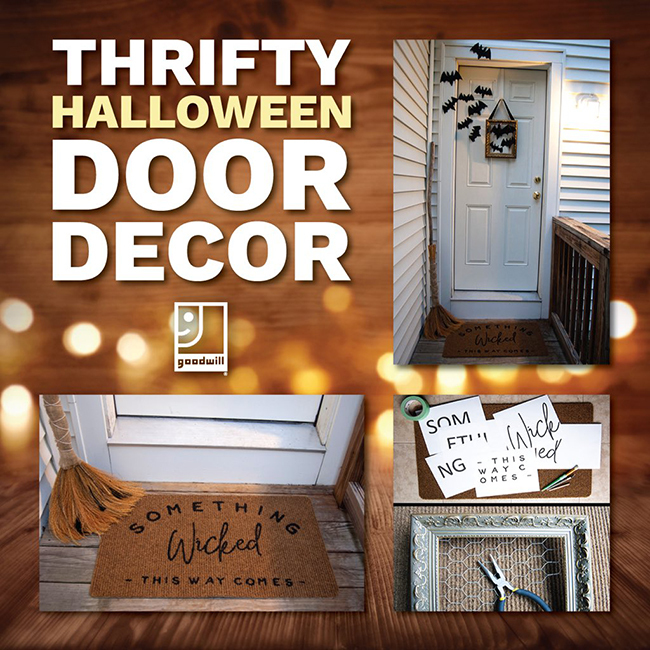 Give your entry a spooky overhaul this #Halloween with an easy #DIY door display!